The State Office is the main office of the UGA SBDC. It’s located in Athens, GA at The University of Georgia’s Chicopee Complex where the SBDC was co-founded in 1977. The Office of Minority Business Development (OMBD) is a special initiative of the UGA SBDC. This division provides special attention to the needs of minority entrepreneurs by identifying procurement opportunities, locating sources of capital, and supporting outreach efforts of minority business people. Gain the knowledge needed to make your business excel by attending our training classes held throughout the state. Classes are offered in specialized subjects for experienced entrepreneurs as well as in management basics for those considering starting businesses. 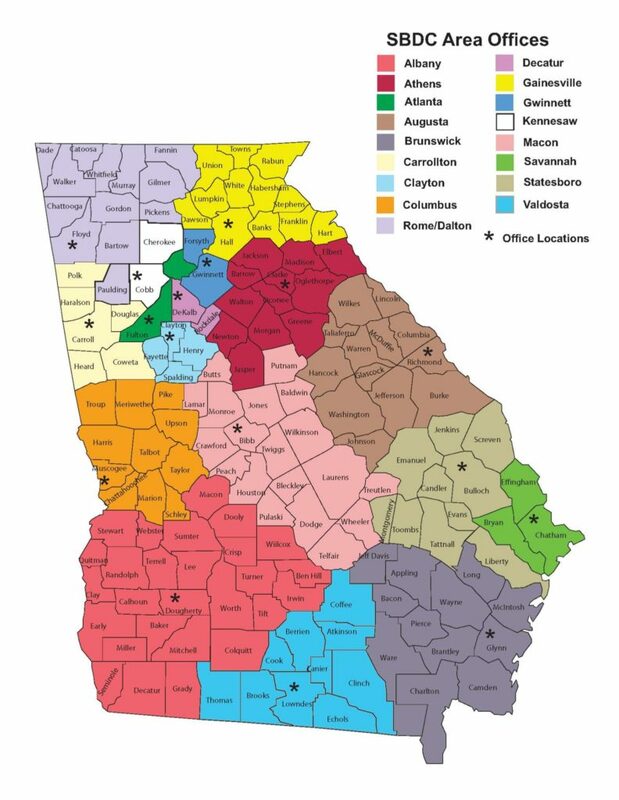 We work closely with other government agencies, including the Georgia Department of Economic Development; the U.S. Department of Commerce; and the U.S. Small Business Administration. Our international trade experts give Georgia business owners an edge in exporting. We address economic development needs for information by providing applied research to small businesses and communities. This service includes the application of economic analysis, market research, geographic information system technology, as well as a wide range of resources for secondary research and an extensive primary research effort.